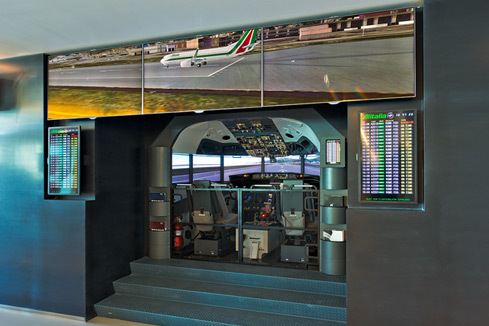 Alitalia enriches the new "Dolce Vita" Lounge with the AES simulator at Leonardo da Vinci airport, Terminal 1 in Fiumicino, ROME. The A.E.S. 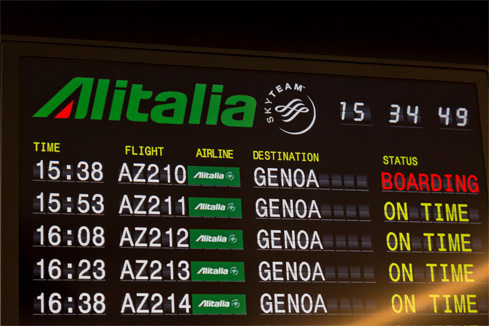 at Fiumicino, in the new Alitalia Dolce Vita Lounge. 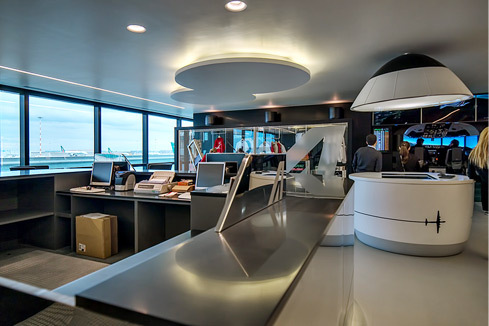 The Airport Lounge is a special place, if well cared for in its characteristics, has the effect of transmitting the value of the airline to the customer. A good lounge must provide exclusivity and protected areas compared to the hub ones. 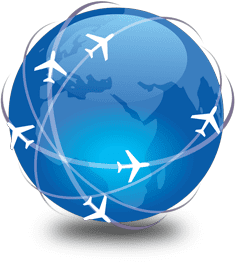 Also, it must be able to support the needs of business travellers (ie with typical tools of an office as an efficient broadband network) and at the same time be a place of relaxation and entertainment as much as possible in line with the tastes of demanding customers. For this purpose, besides the nice and cosy environment, a well-stocked bar and a quality restaurant service, airport lounges have often very common and uninteresting forms of entertainment ranging from television to PlayStations. At the opening of the new lounge "Dolce Vita" at Fiumicino airport in Rome, Flight Simulator Center teamed with Alitalia presenting what is proving to be the main attraction of the room, even drawing some non-travelling visitors, arriving at the airport by paying the entrance to the lounge just to fly our simulator. 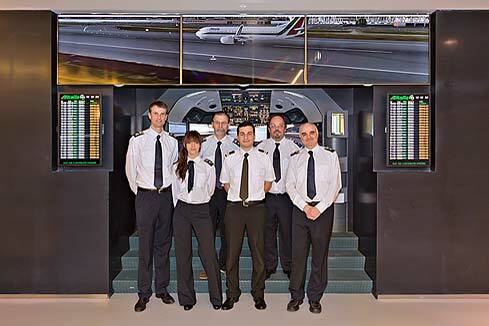 The A.E.S., Airport Educational Simulator, is FSC proposal for intelligent and high educational value entertainment. 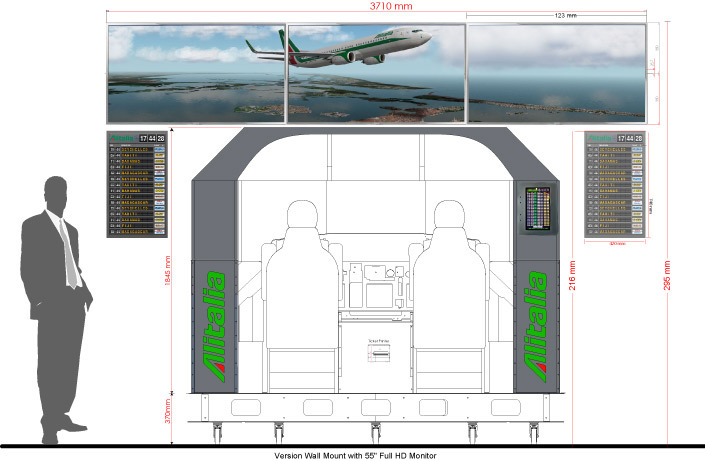 It consists on a fully functional B737NG simulator cockpit (monitor version) enriched with unique features that allow you to manage flight bookings efficiently with an integrated touchscreen, ticketing and Flipboard side system which, automatically and continuously updated, shows the flight status. Furthermore, the A.E.S. has a large high definition widescreen for the external view and a remote control panel that allows instructor pilot to manage the aircraft placement "on the fly". FSC's A.E.S. is a high-performance, high efficiency and low energy consumption system. The A.E.S. engine consists of a network of 12 high-end computer installed in 2 rack enclosures that can be positioned easily in a utility room adjacent to the room housing the simulator or can be integrated into the structure. 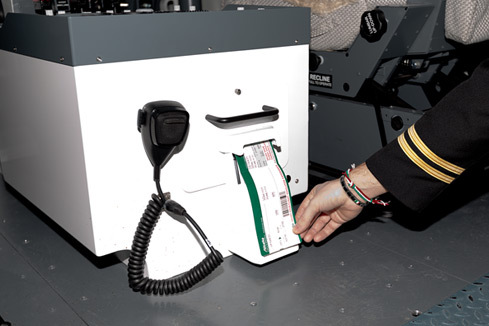 FSC was also in charge of the training of assistants, they do accommodate visitors to the First Officer's seat and act as instructor pilots.